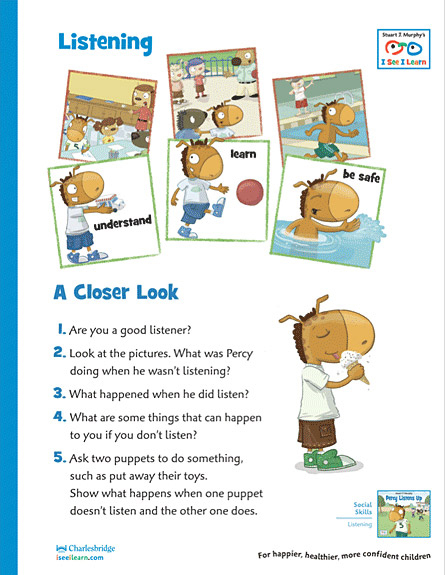 Each I See I Learn story includes a special two page section at the end called A Closer Look. 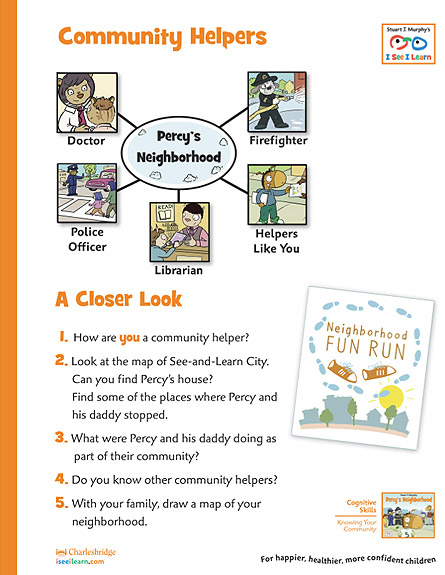 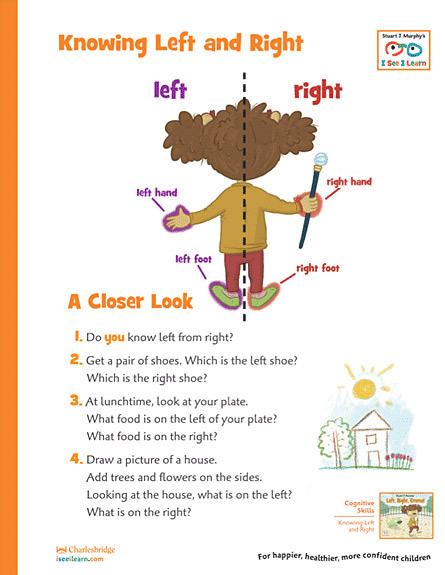 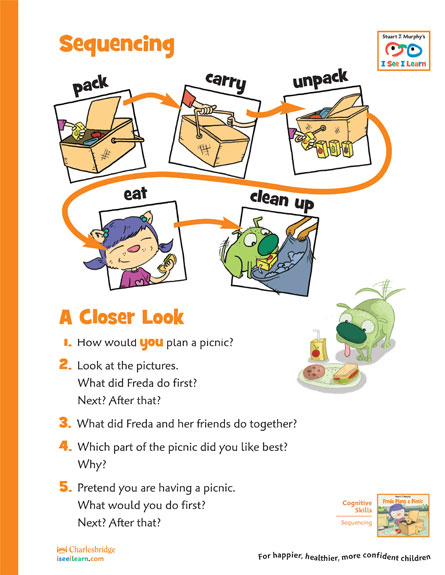 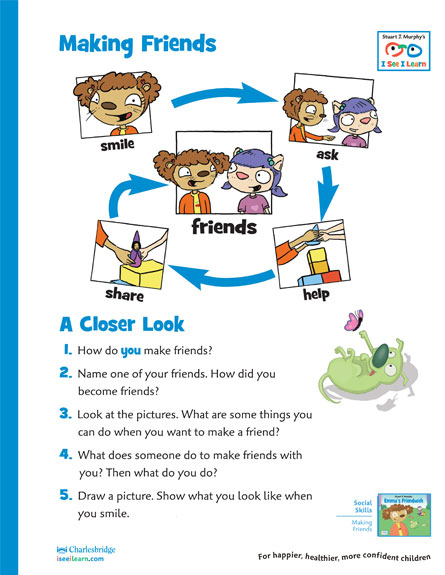 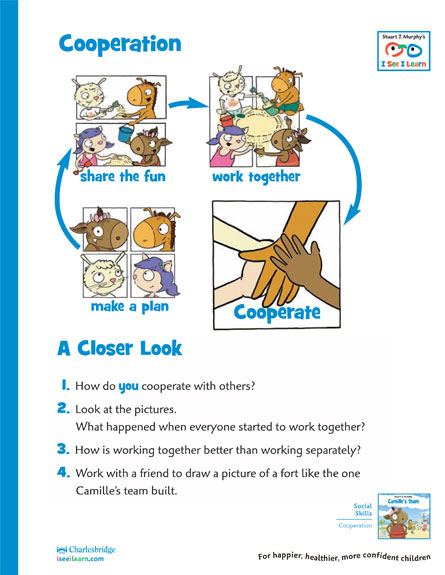 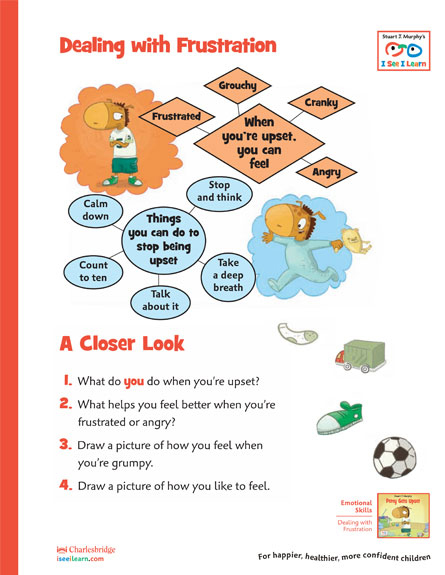 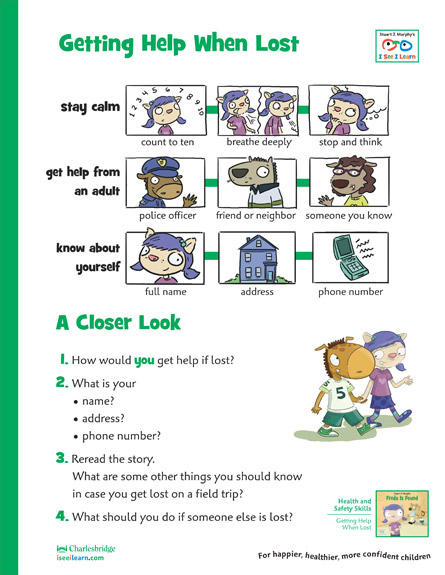 It provides both a visual review and a series of questions designed to help parents, teachers and caregivers extend the learning beyond the book. 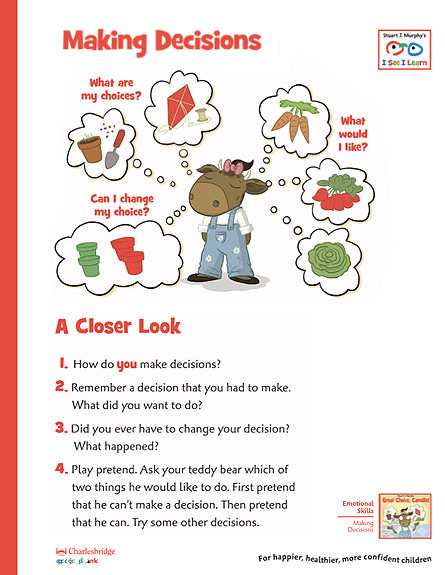 We have converted into pdfs, free to download. 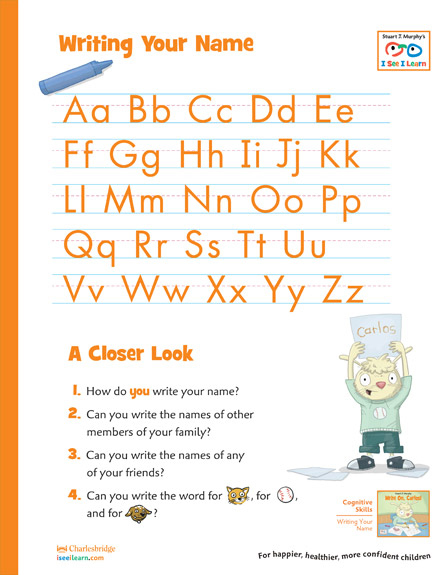 Perfect for decorating school rooms and refrigerator doors! 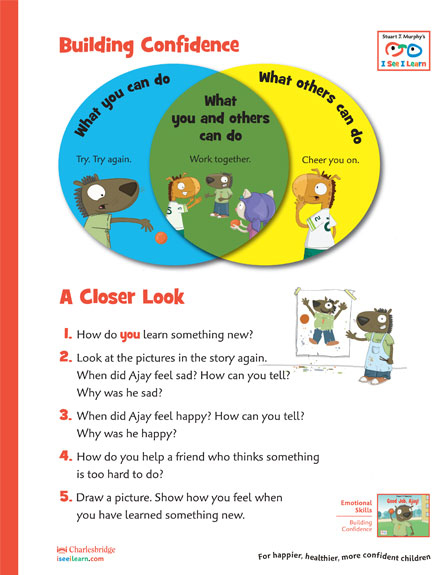 Book Link: "Good Job, Ajay!" 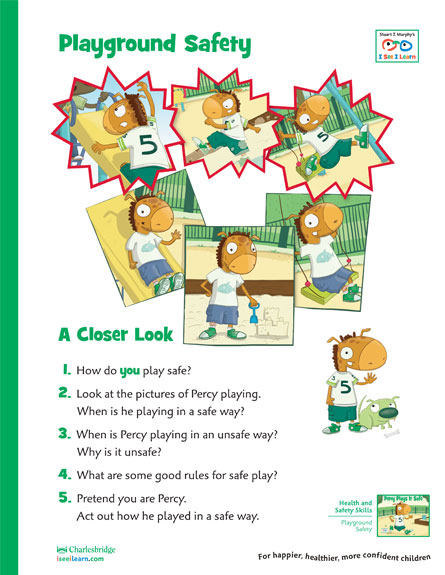 Book Link: "Percy Plays It Safe"
Book Link: "Freda Plans a Picnic"
Book Link: "Percy Gets Upset"
Book Link: "Freda Is Found"
Book Link: "Write on, Carlos!" 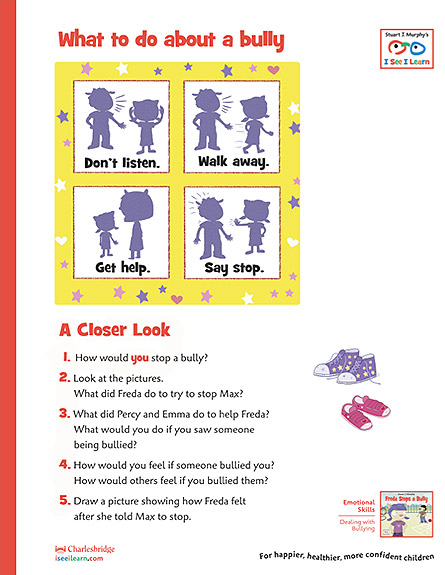 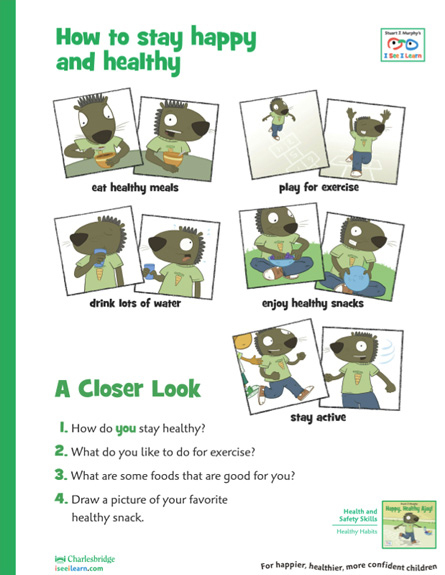 Book Link: "Percy Listens Up"
Book Link: "Freda Stops a Bully"
Book Link: "Happy, Healthy Ajay"
Book Link: "Left, Right, Emma!" 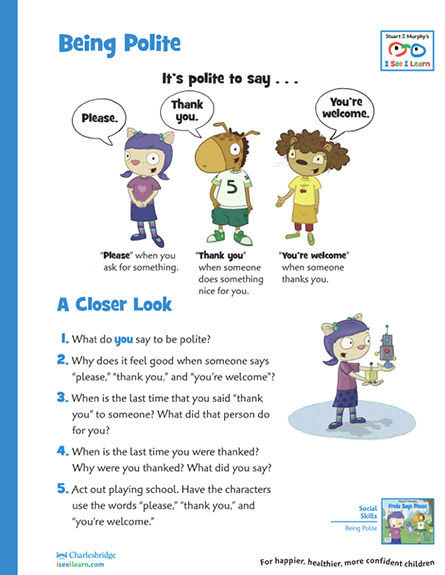 Book Link: "Freda Says Please"
Book Link: "Great Choice, Camille!" 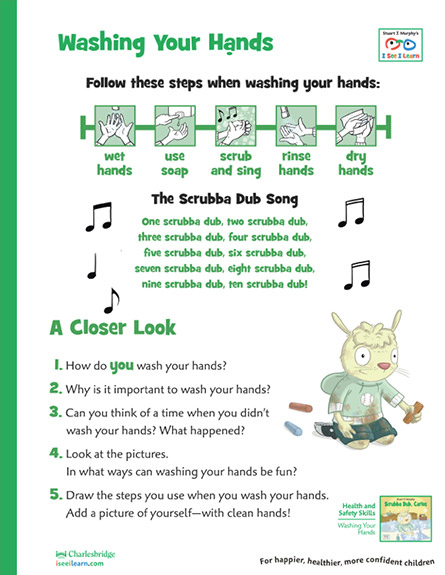 Book Link: "Scrubba Dub, Carlos"